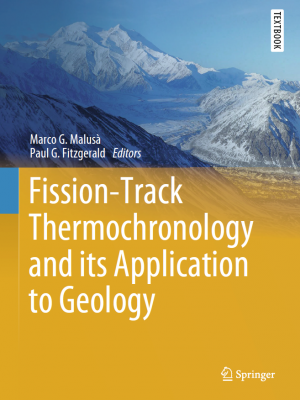 The book provides a comprehensive overview of the basics of applying fission-track thermochronology within a geologic framework, including the development of the method and the fundamentals of how the technique is applied—from fieldwork to statistics to interpretation to implications—all illustrated with clear examples and citations to relevant studies. Fitzgerald says the book could be used as a text in a graduate-level course, as well as a resource for scientists who regularly apply thermochronology. “It provides a really nice place to start for both graduate students and scientists,” he says. Fitzgerald says that apatite fission-track thermochronology is so powerful because it is one of the very few techniques that have a kinetic parameter, the length of the fission tracks. “So you can constrain not only the timing of geologic events, but also how fast geologic terrains cooled or even if they were reheated. That allows you to eliminate certain competing hypotheses because you have a much greater control on the time-temperature path,” he says. 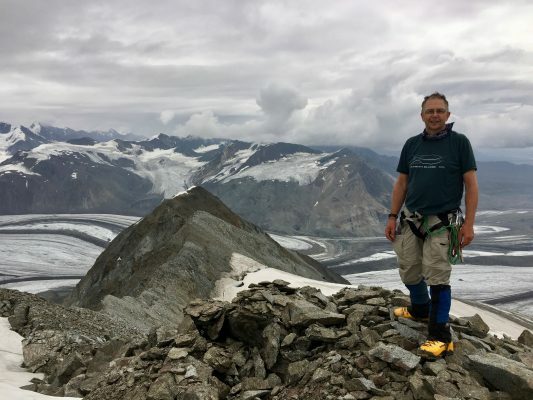 Fitzgerald has used the method extensively in his own research, which focuses on understanding the tectonic evolution of the crust and the geologic processes that form mountain belts and shape landscapes. He has worked extensively in the mountains of Antarctica and Alaska, the Basin and Range Province of the southwestern United States, Papua New Guinea and the Pyrenees. Fitzgerald’s co-editor on the book is Marco G. Malusà, a geologist from the University of Milano-Bicocca in Italy. Malusà has worked extensively in the European Alps, seeking to better understand the tectonic evolution of these mountains and making notable advances in the application of the fission-track method to detrital grains that were eroded off the mountains and are being transported down rivers. Malusà and Fitzgerald drew from their own research for eight of the 21 chapters in the book, while colleague Suzanne Baldwin, the Michael G. and Susan T. Thonis Professor of Earth Science in the College of Arts and Sciences, was also lead author on a chapter. “Her expertise is on geologic processes that operate deeper in the Earth, and thus, she offers an important perspective, linking deep earth processes with those occurring in the shallow crust,” Fitzgerald explains. “Fission-Track Thermochronology and its Application to Geology” was released in July and was widely referenced during the biennial international thermochronology conference, held in September in Quedlinburg, Germany, where it was also used as prizes for the best student presentations.